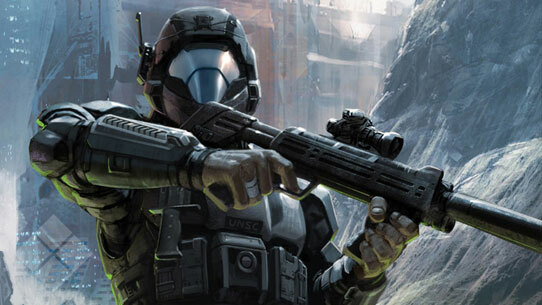 Last week we announced a brand new Digital-First Short Novel from our partners at Simon & Schuster and Pocket Star Books called Halo: New Blood. In case you missed it, check out our chat with author Matt Forbeck to get a sneak peek at what to expect from the new story! Today, we wanted to tackle something that has an incredible importance in the overall scope of the Halo narrative: The firing of the Halo Array. This actually arose from a question that popped up on the Universe forums regarding the birth year of the Ur-Didact, Shadow-of-Sundered-Star, which is listed as 110255 BCE in his Universe profile. The question was whether or not the date could be accurate given its relationship to other events in the Halo timeline. In order to more completely understand the relationship between certain events and when they occur, it helps to identify certain benchmarks that can be used to extrapolate other information. 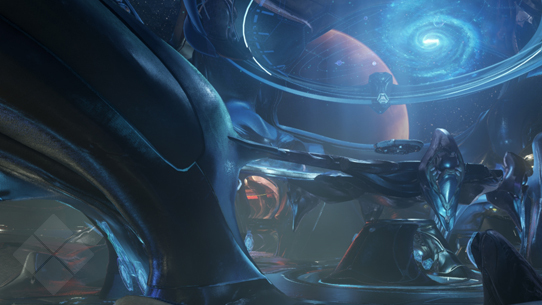 The firing of the Halo Array is not only one of the most pivotal moments in the Halo storyline because of what it meant for the galaxy, but it’s also a crucial point in time that other events have been measured against. As with many events in the “real” world that happened long ago, we typically resort to rounded approximations of timeframes. We might say that automobiles have been around for “about a hundred years,” but in reality that number isn’t exact. With the firing of the Halo Array, the most commonly-used term is “100,000 years ago” and in some cases, that has been canonized to “100,000 BCE.” Clearly, those two numbers cannot be literally true because 100,000 years ago is different, depending on if we’re talking about dates like 1 CE or 2552 CE, for example. If one digs deep enough however, we do have the information to have a much more precise date. That date is 97445 BCE. 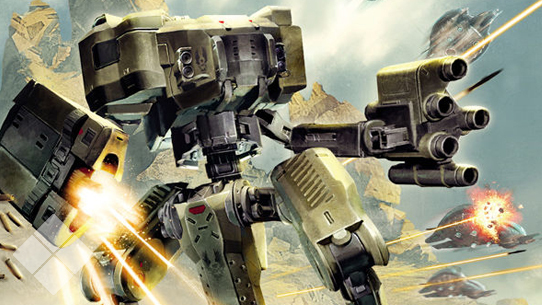 There a number of factors that have brought us to this date, including a very peculiar incident on June 11, 2007, when the AI construct known as Adjutant Reflex broke the proverbial fourth wall and left the Halo community with a vital piece of information. Reflex stated that the firing of the Array happened 871,803,909 +/- 384 hours ago. If you haven’t checked out the Forerunner trilogy by Greg Bear, you absolutely should. Through Halo: Cryptum, Halo: Primordium, and Halo: Silentium, you will get a marvelous glimpse into some of the most incredible and impactful events in the overarching scope of the Halo story. Other, less known, pockets of lore can be found in short stories such as Soma the Painter, found in the Volume I trade paperback of Halo: Evolutions – Essential Tales of the Halo Universe. We hope you will continue to join us as we keep exploring the deep corners of the Halo story, because it’s just as much fun for us as we hope it is for you! Until next week… Live well, play Halo, and never play poker with an angry Venezian. The Rocket Launcher is a magazine-fed launcher that fires a range of guided and unguided munitions.